Homeland meets Marie Lu's Legend in the explosive sequel to Blackout, which #1 New York Times bestselling author Ally Condie called "a thrilling combination of Wells's trademark twists and terror. Fantastic!" It began with a virus. Then a series of attacks erupted across the nation. Now America is at war—and a handful of teens with impossible powers are its only defense. 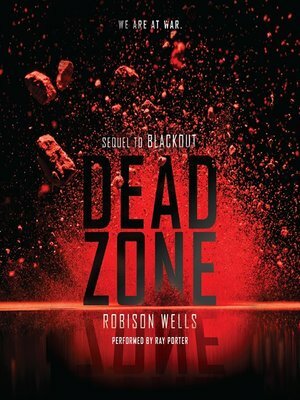 In Dead Zone, Robison Wells delivers his most nail-bitingly tense read yet—and an electrifying conclusion to a two-book series that's perfect for fans of The Maze Runner and I Am Number Four.